When you are an adult and move to a new city, it can be difficult to meet new friends. Many of us know, running, cycling, walking, triathlon and any team or training sport will offer a great community. But first, you have to find them. Lisa Wolf, a South Bend attorney, admits she was a bit nervous when she moved to South Bend from Boston last April. Agreed. That’s to be expected there. She had lived in South Bend before, during law school . . . and ran alone. But this April she found the Fleet Feet weekly runs, and she found RacePlayMichiana for news and a listing of races and events. 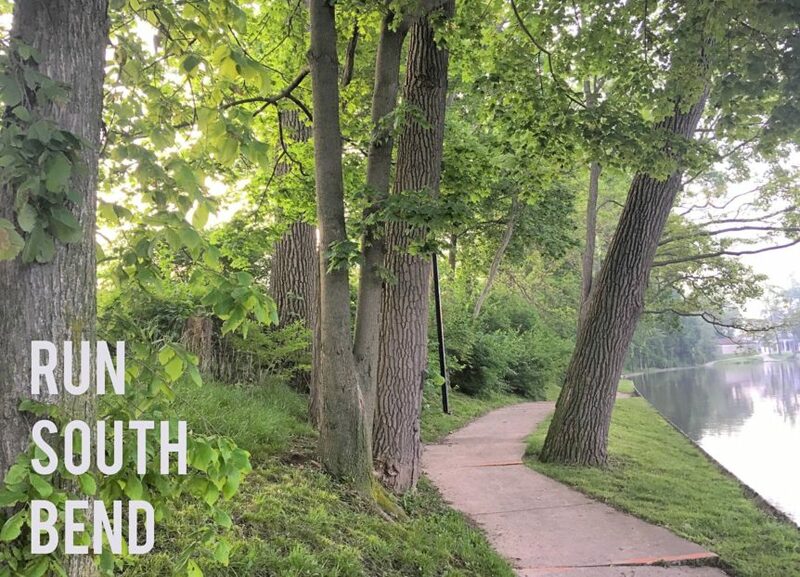 Then she launched RunSouthBend, a social media-fueled weekly report of what’s happening for runners in the area. She “friended” Facebook-active runners randomly, learned about some of the area’s favorite events, discovered Michiana Runner’s Association and Two Rivers Running groups and found track workouts in Goshen. – And the social networking community of running bloggers. Lisa uses the tools of the Boston trade—Instagram and Facebook—and at some point, hopes this running community will embrace MeetUp, an app used faithfully among the Boston running community. “My mission is to spread the word. There are so many good things happening in the running community here. Right now, it just feels a bit compartmentalized.” For example, she’s training for the Monumental Marathon in Indianapolis this November. Wouldn’t it be great to have a place—virtual or real—where others going from the community could share experiences . . . and even rides? So runners, Like, Friend and Follow! Check out the posts, share, participate and maybe, just maybe, we can some day give Boston a run for its money!